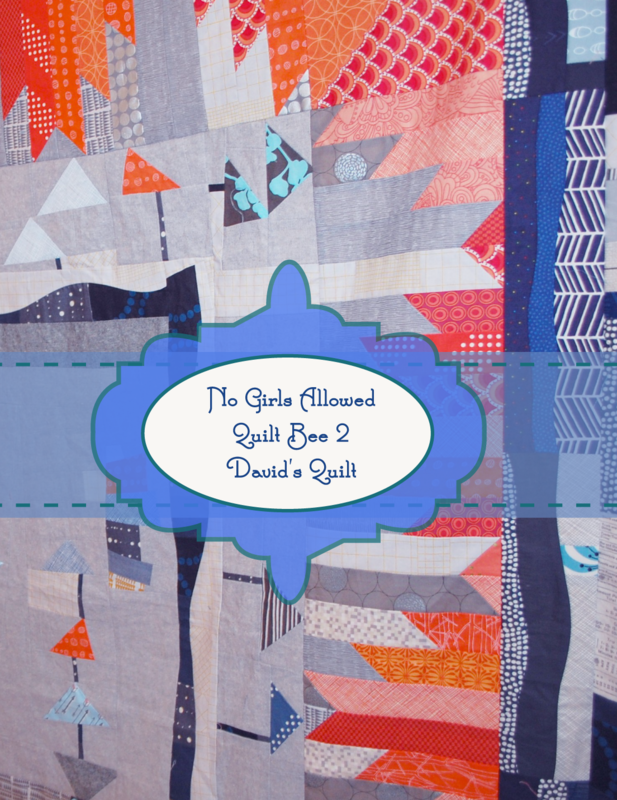 So Finally, I have finished my last round on the Last of the Seven No Girls Allowed Quilt Bee 2 that I worked on with John Adams, David Barnhouse, Nicholas Ball, Giuseppe Ribaldo, Molli Sparkles, and Christopher Thompson. It is the Second NGAQB I have been in. The first one was not a round robin and we had a few men drop out part way through. That initial one was in 2014 and it was Block Bee where each month we made certain blocks for each guy in the group. You can see the blocks I received here. 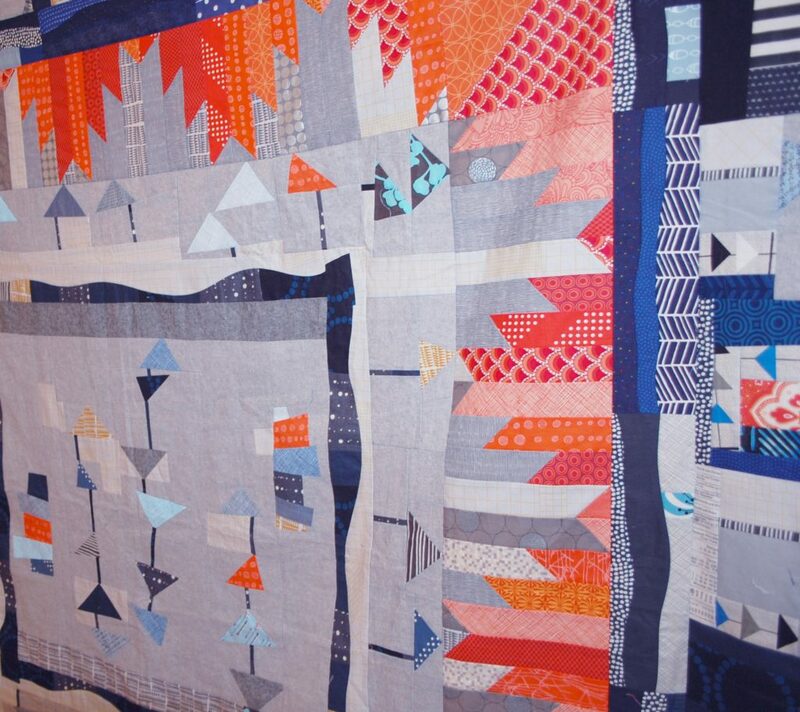 This is David’s Quilt from this second No Girls Allowed Quilt Bee project. 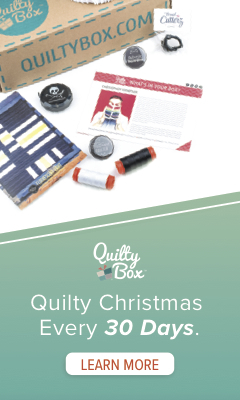 It left Ohio for the East Coast back when we started this Round Robin Quilt Adventure — sometime in 2015. I think it was summer. 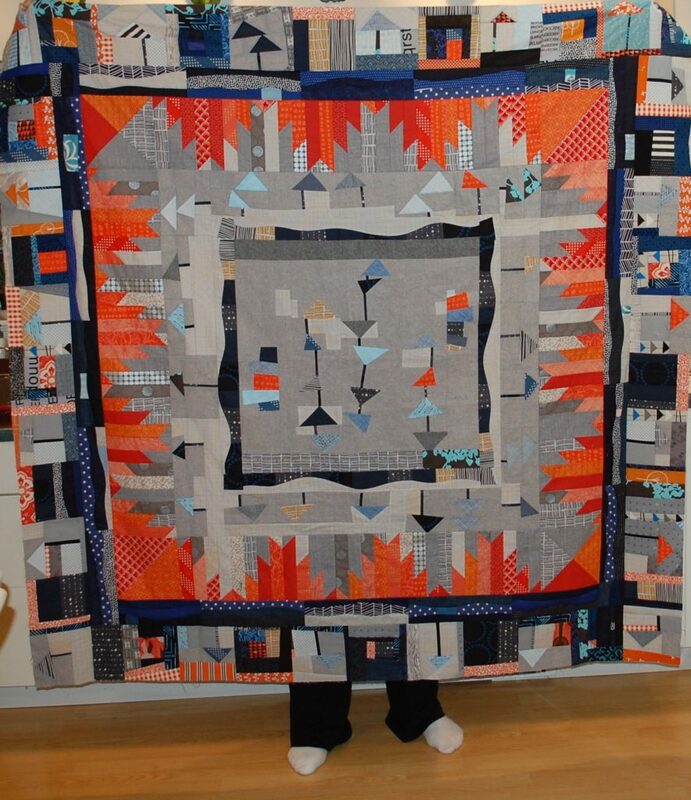 The quilt made all of its rounds, and if I am going to be honest here, I think it got here sometime in late 2016 or early 2017. We all lost momentum it seems then. Not sure why. Round Robins are hard to keep going if they drag on too long. Part of one of the four borders that I added. I am pretty sure that everyone worked on this one. I know when I get mine back that a couple of the guys just never got to doing their part. Part of that I think was because three of us either announced our own fabric lines or were working behind the scenes on them. And another one of us is now working on a book! Another close-up of part of the borders I added. 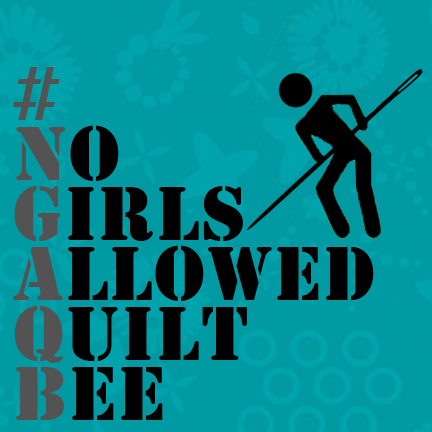 We did get a little flack for naming this group project the No Girls Allowed Quilt Bee 2 at first. But really it was just a tongue in cheek name we thought, and we all love and respect women and are definitely all for gender equality. We just wanted to have fun and bond together as friends. More of an over all detail shot showing everyone’s work. So all that’s it for me on this project, I am waiting for mine to come to me from England. I think two of the guys never got around to working on mine, but I am hoping they may have at least thrown a couple of blocks in the mix of fabric we sent through that I can add on to my last border. Hope you enjoyed this little brief recap of the NGAQB 2 Project. You can look at my work on the past ones here on the blog or on Instagram by searching NGAQB2.